If you get a DUI in Grand Rapids, Michigan you need a top notch lawyer. Attorney Daniel Hilf of Hilf & Hilf, PLC aggressively fights both felony and misdemeanor DUI offenses throughout Michigan, and will travel to the Grand Rapids area when retained. 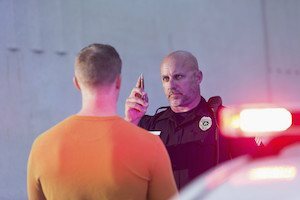 Because the public is theoretically placed at risk with every DUI, and the Court is concerned about repeat offenders, DUI offenses are treated in a very strict manner by Court. For some DUI offenses, there are mandatory sanctions under Michigan law that removes the discretion of the Judge. For these DUI cases the Court upon conviction must impose jail or prison, lengthy community service hours, substance abuse rehabilitation, and vehicle immobilization. Other DUIs also result in strict sentence conditions such as probation with intensive probationary conditions, and reimbursement for police/emergency response. For DUI convictions the Michigan Secretary of State will separately notify you by mail of a restriction, suspension, or revocation your driver's license depending on the nature of the conviction and the existence of a DUI history. DUI convictions are forever because they cannot be expunged from your criminal and driving record. The facts are that you need an experienced and trusted DUI attorney to defend you in Grand Rapids or anywhere in Michigan that you are facing a DUI charge. Hilf & Hilf, PC lawyer Daniel Hilf fights in courtrooms everyday for the best possible results for DUI cases. As a leading and respected Michigan DUI lawyer, Daniel Hilf will defend you if hired. He has over twenty years experience as a defense lawyer, and has completed over 100 jury trials in his legal career. He is a lawyer that other lawyers seek for advice, counsel, and legal representation. Searching for the Best Grand Rapids Michigan DUI Legal Counsel? If you need DUI legal help for a DUI arrest, contact Hilf & Hilf today to discuss your case.